To give a sense of how hard this task is, while the Milky Way’s black hole has a mass of 4.1m Suns and a diameter of 60m kilometres, it is 250,614,750,218,665,392 kilometres away from Earth – thats the equivalent of travelling from London to New York 45trn times. As noted by the EHT team, it is like being in New York and trying to count the dimples on a golf ball in Los Angeles, or imaging an orange on the moon. The measurements of the speeds of matter around the centre of the black hole are consistent with being near the speed of light. 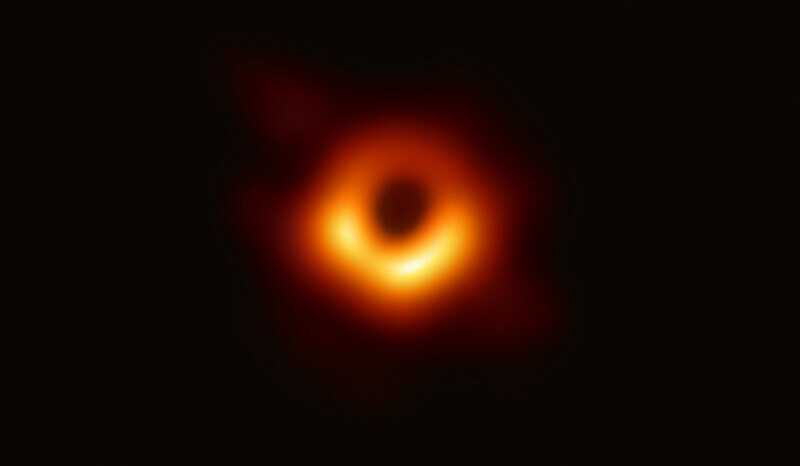 From the image, the EHT scientists determined that the M87 black hole is 6.5bn times the mass of the Sun and 40bn km across – that’s larger than Neptune’s 200-year orbit of the sun. This piece has been updated to include a tweet from Katie Bouman, the computer scientist who developed the algorithm that made the black hole photo possible.